A Valued Ally, a poster from the Raptor Alliance Project designed by David Orr and featuring the artwork of William Zimmerman. 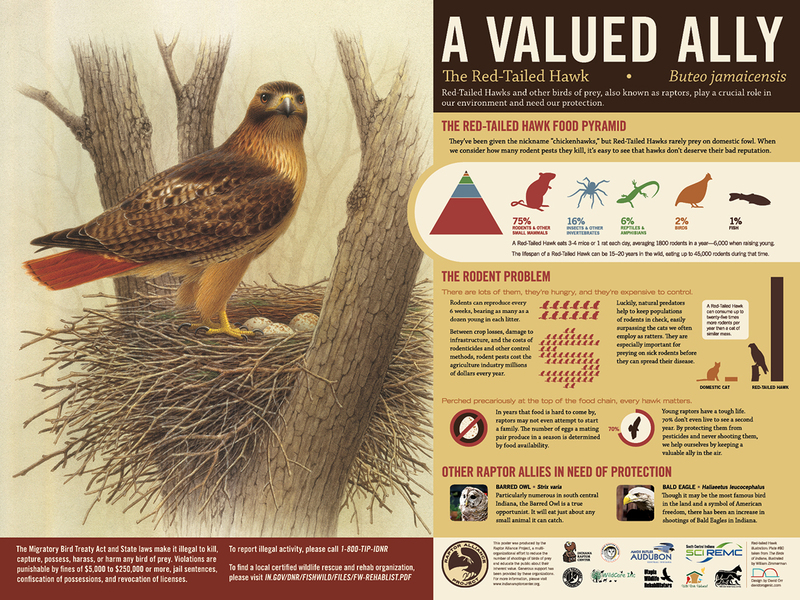 Copies of this poster are available from Indiana Raptor Center. Please contact us if you are interested in obtaining a copy.